Ras Al Khaimah, UAE: Looking to make the most out of the upcoming Eid long weekend? Rixos Bab Al Bahr is celebrating Eid Al Fitr with a festive atmosphere and variety of culinary and staycation offerings to mark the conclusion of the Holy Month of Ramadan, and the start of a blessed summer season. 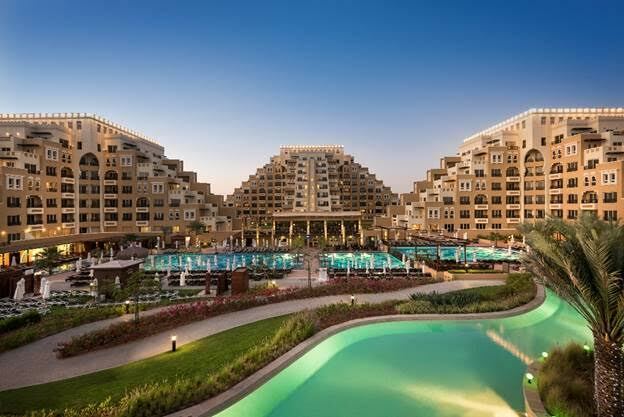 Set among the tranquil sands of Al Marjan Island, the ultra-all-inclusive resort is the quintessential vacation indulgence for families. Being home to a kaleidoscope of recreational activities, luxuriant suites replete with the best of the best amenities, and a distinctive variety of culinary options ranging from Mediterranean to Middle Eastern and European cuisines, Rixos Bab Al Bahr provides an incomparable guest experience. Commence Eid Al Fitr with the lavish, celebratory buffet at Seven Heights Restaurant, featuring an exotic array of global cuisines. For AED 250 per person, indulge in an extraordinary display of the most, fresh, aromatic dishes that epitomizes culinary excellence. Lalezar Restaurant will also join the festivities with an exclusive Eid menu, presenting an incomparable variety of perfectly cooked dishes, for only AED 350 per person. Available to guests are a limitless selection of experiences to choose from- relaxing spa day at Anjana Spa, frolicking by the 345m stretch of private beach, lounging by the state-of-the-art swimming pools, access to the fully-equipped fitness center, and competitive rounds of fun sports activities that include football, volleyball, basketball, beach games, table tennis, billiards, darts, tennis, Yoga, Pilates and step aerobics. Additionally, excite over scuba diving lessons, jet skis, banana boat, water skis, parasailing, fly fish, and catamaran rides. The family friendly staycation destination also has answers for parents looking for some time together, or simply a day of refreshing indulgence. Rixy Club is the perfect refuge for parents, as the children’s entertainment center allows your little ones to enjoy a wide selection of activities under the supervision of experienced supervisors. What’s more? The Eid Al Fitr staycation can be yours with an exclusive 20% promotional discount on the Best Available Rates for a minimum of 2 nights at Rixos Bab Al Bahr.